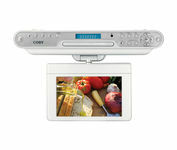 7"Widescreen Under the cabinet DVD/CD player with ATSC Digital TV Tuner and AM/FM radio.Enjoy the convenience of DVD entertainment in your kitchen or anywhere else in your home. 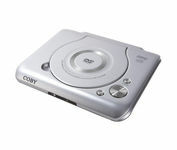 It supports a host of media formats including DVD, DVD?R/RW, CD, CD-R/RW and is JPEG and MP3 compatible. 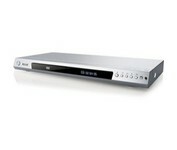 This progressive scan DVD player has a Karoke function that will be sure to liven up any gathering. 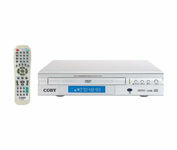 It is DVD, DVD+/-RW, CD, CD-R/RW, and CD+G compatible. 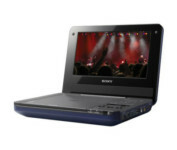 In addition, it features a Dolby Digital decoder, a parental lock function, and convenient front panel and on-screen displays.